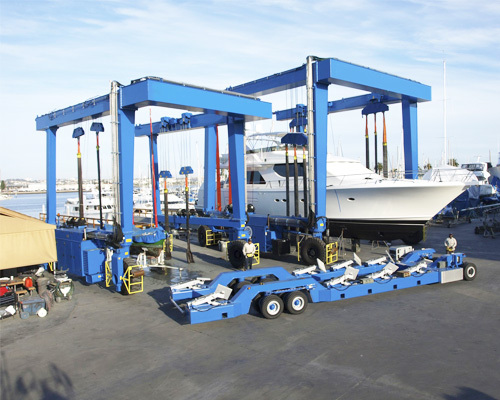 Travelift crane is a kind of marine crane especially used for boat mobiling operations on ports and wharves, a series of hot sale mobile gantry cranes manufactured from Ellsen Crane Machinery. With professional crane manufacturing engineer teams and stuffs Ellsen will be your reliable travelift crane manufacturer. If you want to have a travelift with high performance at factory price, Ellsen travellift crane will be your first choice. If you need the marine offshore crane design service from our factory, you can provide the detailed travel hoists specifications, your industrial sites drawings, then our crane engineer can provide you our design solutions, crane drawings for your reference. 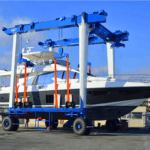 Trace lift cranes are yacht handling cranes, also known as boat transporters, are widely used in water sports clubs, navigation, shipping and other places. The yacht handler can carry out different tonnages (10 to 1200 tons) of ships or yachts from shore sinks for the maintenance or repair of these different ships on the shore or the launching of new ships. Ellsen travelifts can be widely applied in different kind of working conditions, the recommended application fields of the above just for your reference, if you need a travelift totally meeting your individual workstations, be free to get our crane engineer team in touch with your special needs, working sites drawings, or the specific travelift crane specifications you need, the crane engineer team will tailor for you. 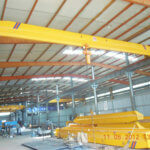 Here in Ellsen Crane Machinery, any kinds of crane travel lift you need, the crane factory can provide you immediately. The company have different kinds of boat travelifts applied for your different kinds of boats, ships, yachts, etc. And the travelift with different capacities meeting your special requirements on the crane marine travel hoist loading capacities. 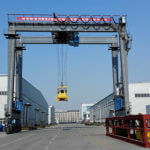 All kinds of travel lift crane manufactured from our factory are at factory price level. 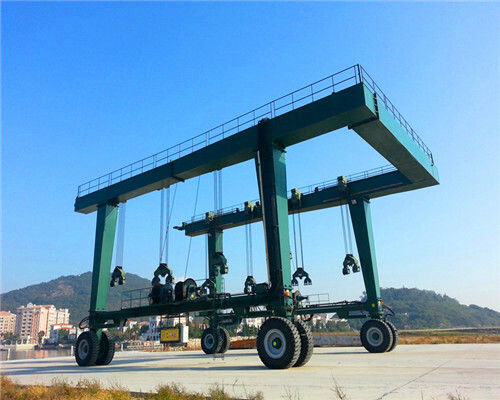 Specifically, travelift crane is also a kind of customized gantry crane products from our factory. 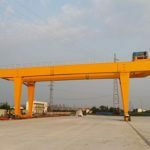 Thus, the crane travel lift price has different levels in terms of crane specifications, weights, configurations, and services you need us provide for you. 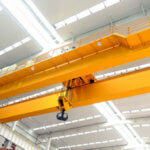 Usually, the lightweight travelift crane is less cost than the heavy duty crane travelift. The crane hoists travel with high configurations are usually more expensive than the common configuration one. 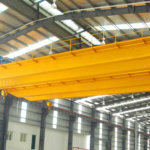 Thus, the company suggest you provide your specific crane requirements before you want to make a new order for a crane lift manufacture for your cost saving facility. The yacht handler can be designed and manufactured according to the customer’s different requirements. It is mainly used for the submarine water, lifting and other working conditions of the boat, and can also be used for shipyards, yacht clubs, and water entertainment centers, naval and so on. 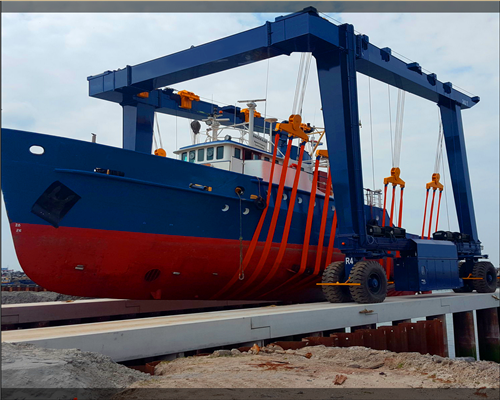 It can be conveniently and quickly satisfy the lifting and maintenance of different boats, or the transportation of the factory, the safety and reliability are very strong. 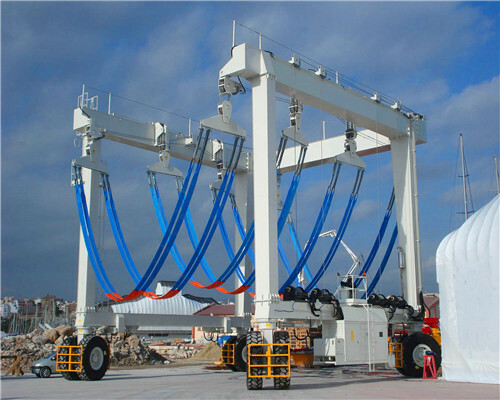 The upper structure is a double-frame U-shaped connection frame to facilitate the smooth entry, exit, lifting and other work of different types of ships in the dock or factory area. Operation mode: 12 walking functions such as straight running, incline walking, local turning and Ackermann steering, which meet the requirements of different working conditions, with 4% climbing ability; convenient and flexible handling of boats on the shore you can quickly arrange the boats one at a time, effectively saving space. This transporter belongs to non-standard equipment which is self-powered, good fluidity, and its lifting mechanism uses a load-sensitive hydraulic system, lifting point distance can be adjusted to maintain simultaneous lifting of multiple hanging points, while output power according to load conditions, so that the entire function reduced consumption. Full hydraulic transmission. In the application of the small-tonnage type transporter, according to the customer’s needs, we can design an economical all-electric drive. 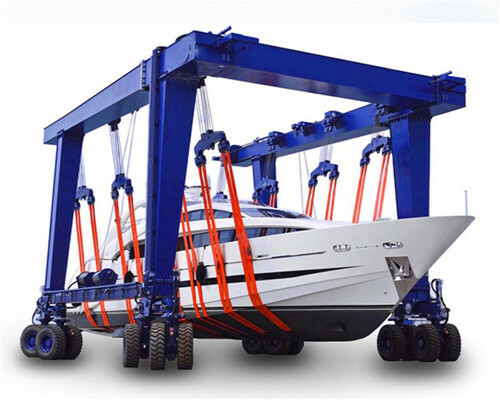 China mobile boat hoist crane, yacht handling machine, all kinds of travelifts you need for your facility, Ellsen travelift inc. will manufacturer any kinds you want, customized or standard crane, any design you need, be free to contact us.